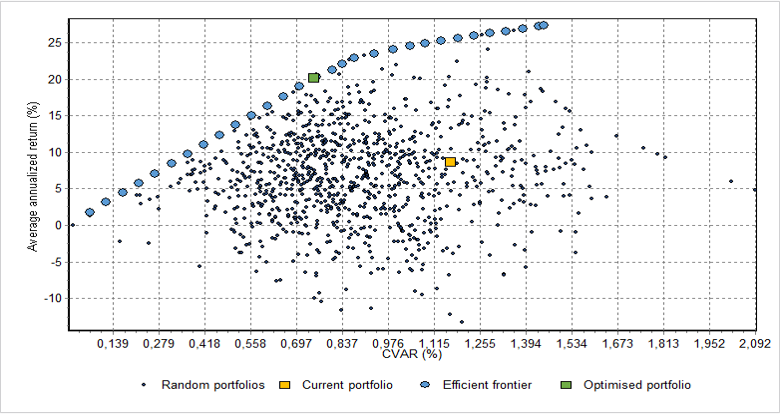 Our Portfolio Optimiser can also serve as a portfolio optimisation solution for robo advisors. Support for many different constraints: weights of securities, asset classes, tracking error, etc. We are providers of enterprise software solutions for financial institutions and for fintech and insurtech startup companies. Our solutions, used on more than 1 billion EUR of assets, are employed in areas of portfolio optimisation, robo advisors, risk management and performance reporting, quantamental strategies, news analytics, satellites and aerial imagery analysis, specialised digital assistants and other areas. 2017 © All Rights Reserved Alpha Quantum.